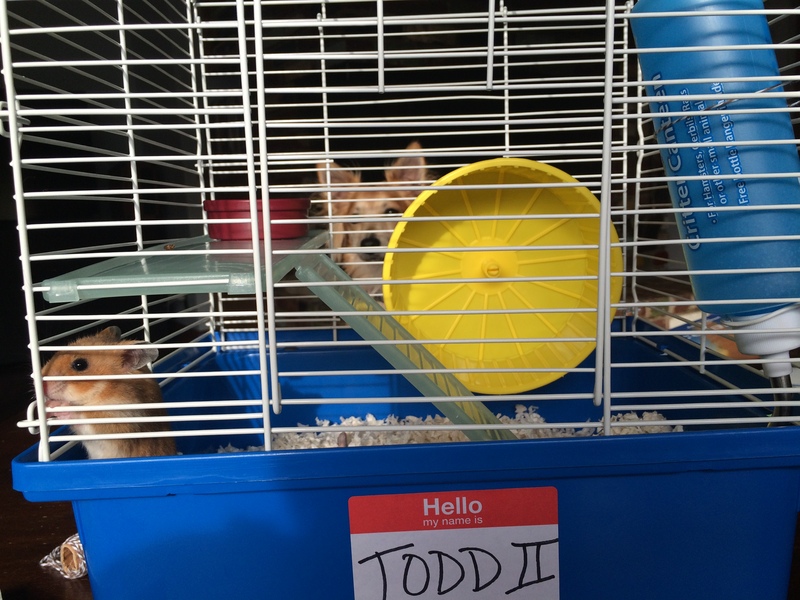 Recently the kids were going on and on about Todd and laughing their little heads off when my husband turned to me and said, “You know Judah’s birthday is coming up.” We locked eyes and telepathically said, “Hamster!!! !” So that happened. Look, I like Todd II. He’s sweet, small and really not too offensive most of the time. But that doesn’t mean it was a smart thing to bring into a busy family who are trying to train their 1-year-old puppy how to not bark at every cat that wanders past our house. So before you go out and buy your child a hamster, I’d like to help you out. Make you stop and think a little, since we really did not. So there you have it. Don’t say you haven’t been educated. Somewhat. Right? Pikachu is also cute. And he doesn’t pee on anything. Tags: gluten free. Bookmark the permalink. I love hamsters. 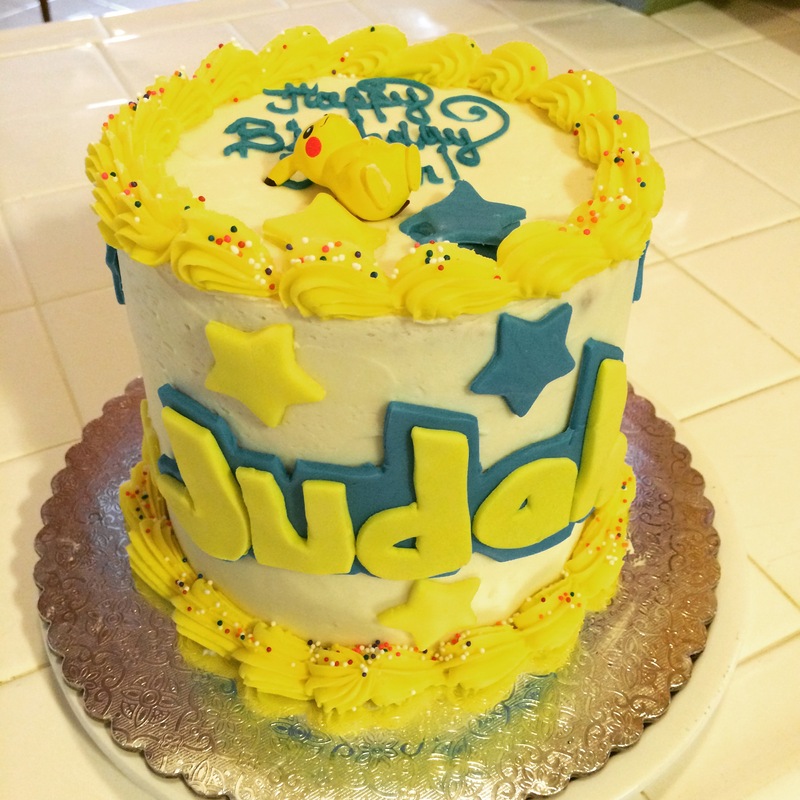 The cake is great!